Check into country fun with the Checkerboard Fun Fest! This musical variety show from 1945 featured popular country western musical artists, star performances, and comedy interludes with a downhome flavor. Personalities featured on the Checkerboard included The Cackle Sisters, Curle Fox, Rod Brasfield, and its inimitable host, Eddy Arnold. Eddy Arnold, the Tennessee Plowboy, was a hugely popular country music artist in the 1940s. He was an unprecedented success on the country charts, dominating the industry with 57 singles in the top ten in one decade. Arnold starred on many country radio programs as both host and performer, including the Grand Ole Opry and Hometown Reunion. 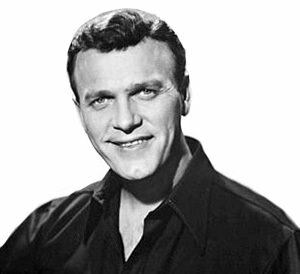 Arnold moved to television in the 1950s, hosting his own show, The Eddy Arnold Show. Be the first to comment on "Checkerboard Fun Fest (Eddy Arnold)"